Applications for ESV’s 2019 Canteen Grant Program are open. This year the ESV Canteen Grant program will provide grants for the purchase of new or replacement electrical or gas appliances to the value of 50% of the total project cost, with a maximum grant reimbursement of $1,000 per application. We understand there are clubs experiencing financial difficulties, so specific cases of hardship or special circumstance will be considered, and the 50% club contribution to the project cost will be waived. The full Grant Guidelines are available here. Our media release is available here. We look forward to receiving your Club’s application. ESV is an Official Partner of AFL Victoria. We are also a Premier partner of AFL Victoria Country and a Major Sponsor of the AFL Victoria Country Under 19 Representative Team. We’ve proudly supported of the growth of country football and together raised awareness of gas and electrical safety issues in regional areas for nine years. 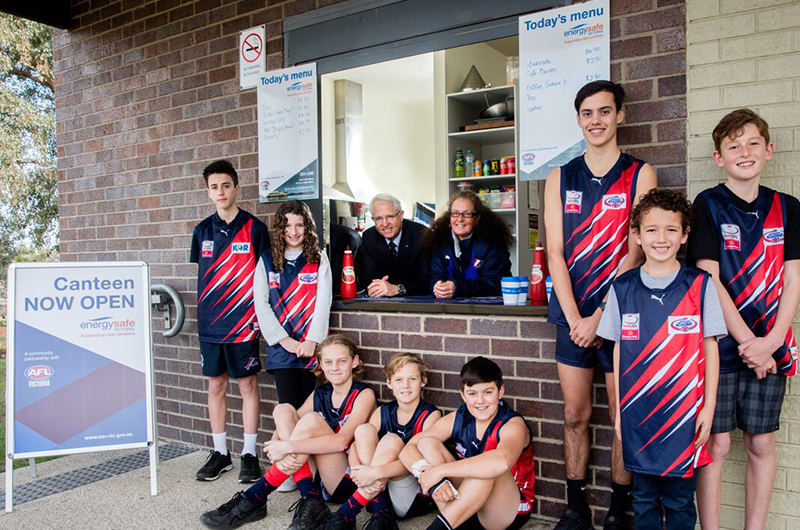 We developed the ESV Canteen Club Program in partnership with AFL Victoria in 2018 to directly support local clubs financially, and raise awareness and understanding about energy safety at a community level. Victorian clubs competing in leagues affiliated with AFL Victoria can apply for a grant to purchase new electrical or gas equipment for their club’s canteen, to replace aged, faulty and dangerous equipment. In our first year we received over 150 grant submissions. There were countless stories of old, broken down equipment being used by volunteers, who were potentially at risk of an appliance related injury. The overwhelming response helped us understand the struggle many clubs face funding the replacement of canteen equipment. In June 2018, we announced that 27 clubs would receive a canteen grant. 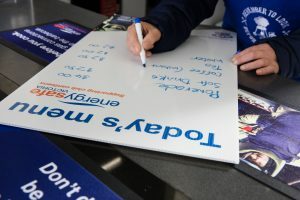 In addition to the grant fund, each successful club received a merchandise pack from ESV; including new menu boards, canteen counter mats, and a ‘Canteen now open’ A-frame – each displaying our energy safety messages.